All tangible physical components of computer and the devices connected to it are hardware. Some of the popular examples of computer hardware are CPU, motherboard, monitor, mouse and keyboard. 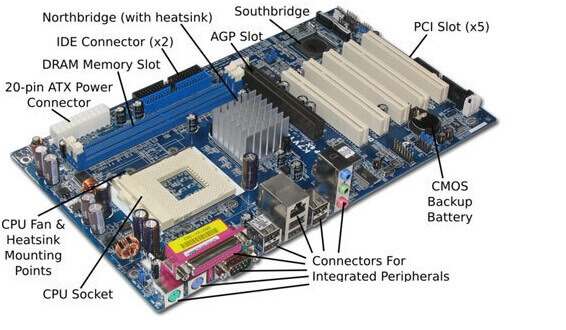 Motherboard is generally a thin circuit board that holds together almost all parts of computer except input and output devices. All crucial hardware like CPU, memory, hard drive and ports for input and output devices are located on the motherboard. It allocates power to all hardware located on it and enables them to communicate with each other. It is the display unit of the computer. 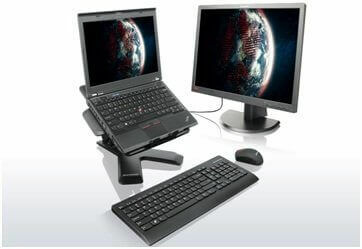 It is the basic output device that renders the processed data as text, images, audio or video. It is the basic input device that is used to input data into the computer. It has different sets of keys to enter numbers, characters and symbols. It is an input device that is used to point to or select objects on the display screen of computer.